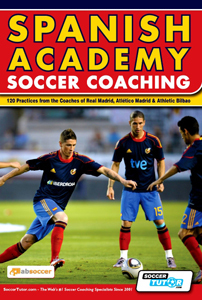 "Learn How To Coach The Spanish Academy Way!" This incredible book IN FULL COLOUR contains Spanish coaching philosophies as well as 120 practices as used in the academies of the Spanish La Liga. There are technical and tactical practices for a wide range of topics ideal for coaches at youth level wanting to develop their team to world leading 'Spanish academy standards'.